I wanted to share another little project I was able to work on with a sweet friend. Sarah hosted a couples shower this past weekend, and I can’t think of a better theme! Congratulations to Emily & David! Do you believe in fairies? 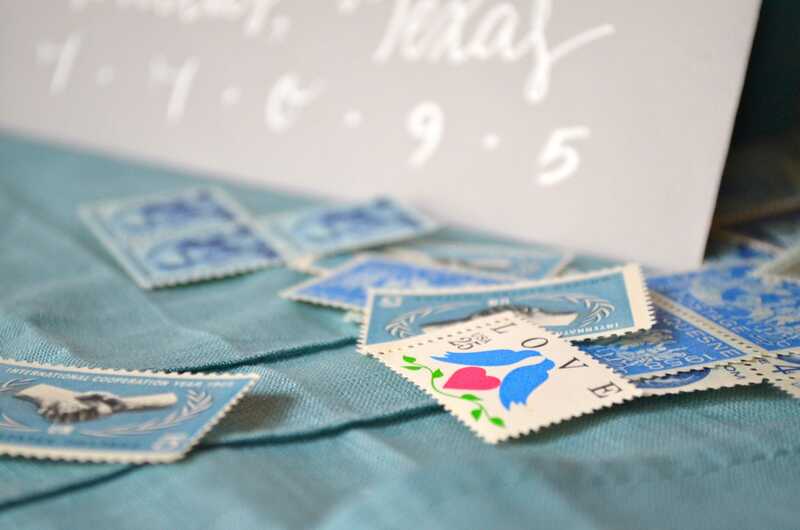 This glittery invitation is perfect for a little girl’s birthday party. 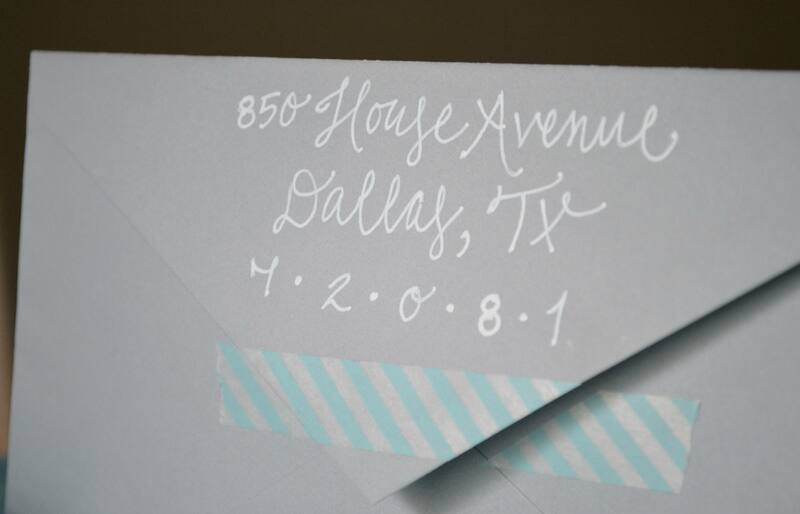 I loved creating these and addressing the pretty pink envelopes with a silver pen. It was the perfect touch! And who doesn’t love the color pink? :) Happy Friday! When it comes to wedding showers, couples showers are my favorite. So earlier this fall, when Bobby and I were invited to help two good friends “stock the bar”, how could I say no? 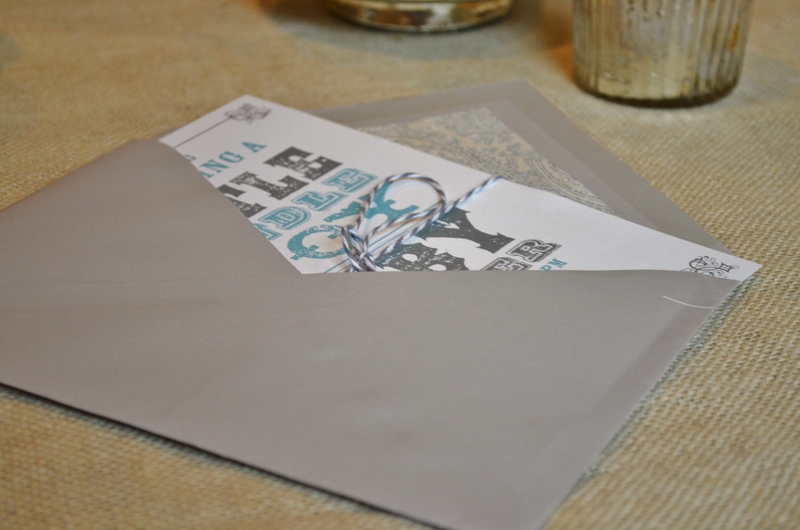 I was even more excited when the host, my lovely friend Jenny, asked me to design invitations for the party. 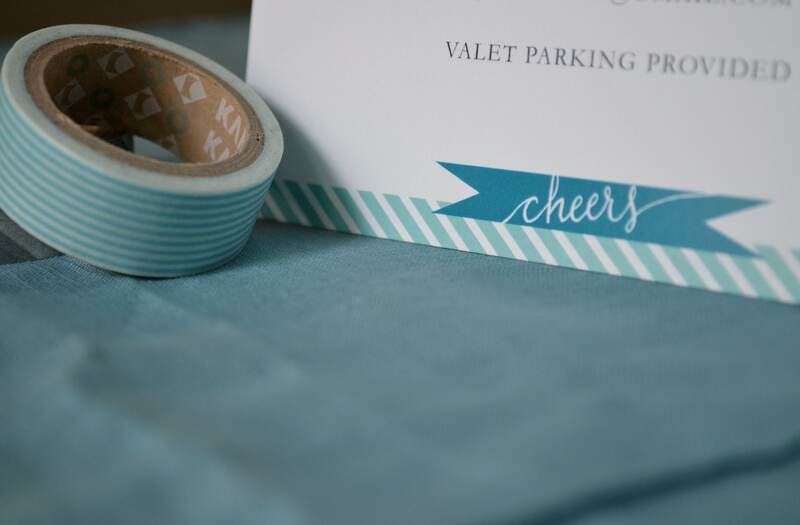 Knowing the bride’s favorite color is turquoise, I found inspiration in the slanted stripes on a roll of teal washi tape. 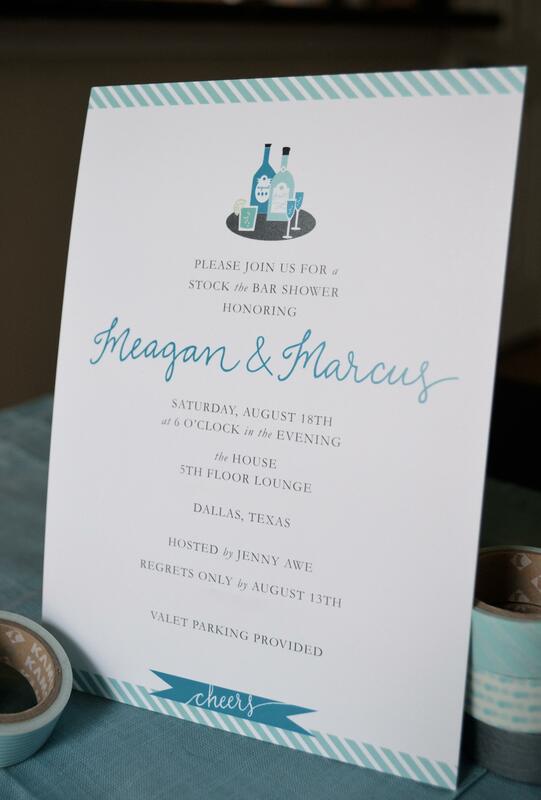 The final invite design was modern yet playful; a perfect match to the party’s setting at a chic lounge in downtown Dallas. 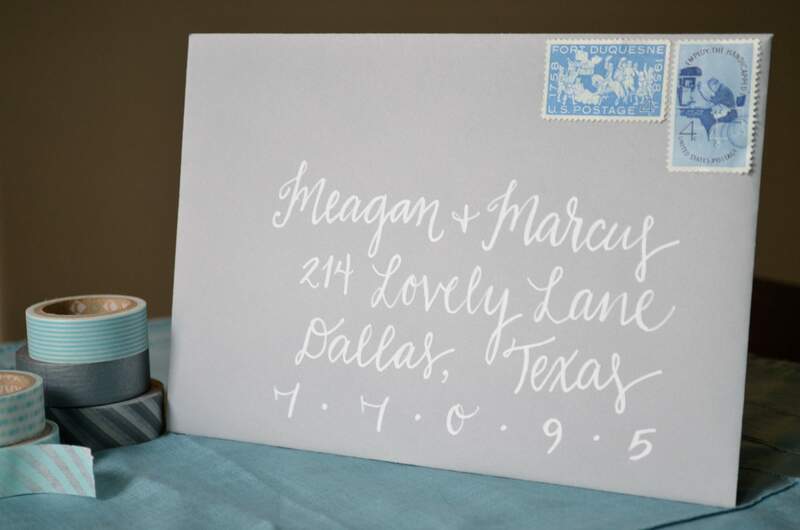 Meagan and Marcus were married this past weekend. It was a fantastic celebration filled with many laughs and even better dance moves. Much love and congrats to the happy couple!